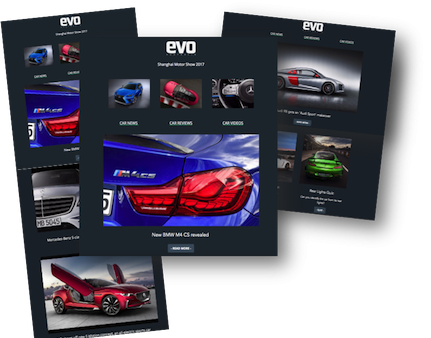 evo Australia sets the standard for authoritative and detailed car reviews, features and industry news. Our regular newsletter ensures that our audience is the first with world-leading car content that is created both locally and internationally. Get behind the wheel of a million-dollar Ferrari, drive the world’s greatest roads and fastest race tracks as we deliver The Thrill of Driving straight to your inbox. 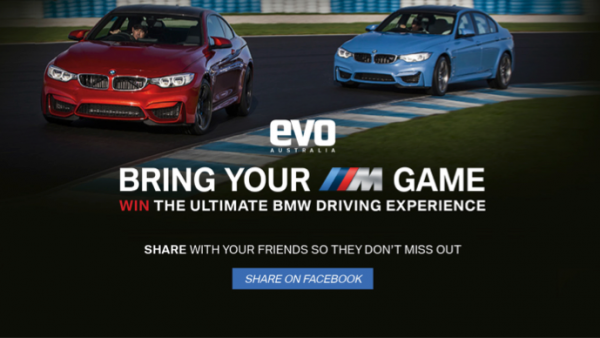 Hosted at Sydney Motorsport Park and Norwell Motorplex in Queensland, evo Australia and BMW collaborated to create The Ultimate Driver Experience. The challenge was to create an engaging campaign whereby BMW M Division’s specific target audience (AB, high-income men) could experience the precision of the BMW M series on the freedom of a racetrack. 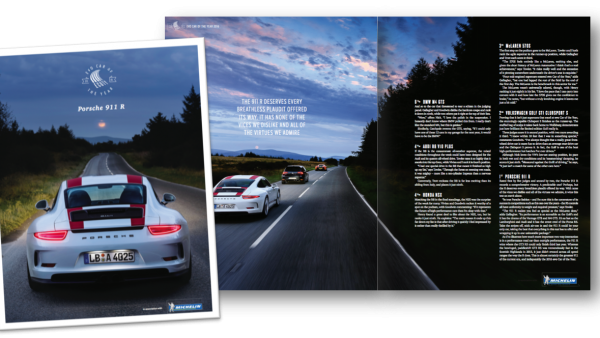 Expanding the campaign across all MMNetwork platforms, from airports to social and video, we provided BMW M with a highly engaged, relevant audience that was interested in premium motoring and all of its aspects. The Ultimate Drive Day culminated with 40 lucky competition winners strapping in for the ride of their lives. Each participant left with an amazing experience from the fun side of pit wall, but also an individually edited video of their track day experience. That the race track car parks were filled with many generations of BMW M cars provided testimony to the success of providing the right audience even on a working week day. 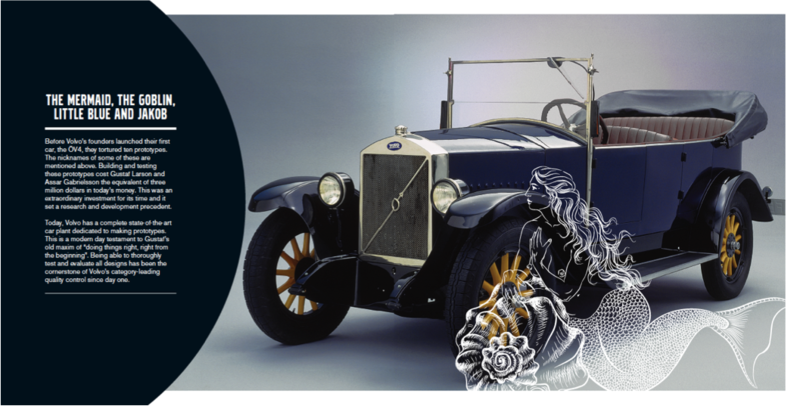 In 1915, a Swedish engineering company set-up shop under the name, Volvo. 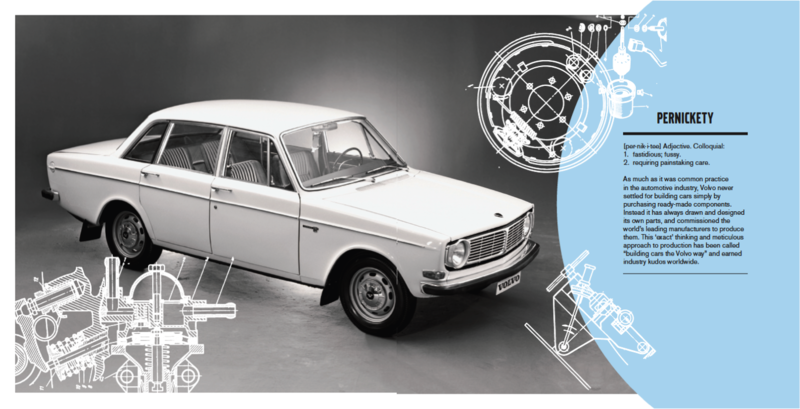 Latin for ‘I roll’, Volvo began life as the manufacturer of ball bearings, but a lunch nearly a decade later between engineer Gustav Larson and businessman Assar Gabrielsson hatched a plan for a Swedish-built car. The first Volvo car, the OV4, rolled off the production line in 1927, and 90 years later, Volvo has produced more than 18 million cars and SUVs. Over that time, the Volvo brand has changed how consumers, legislators and the automotive industry think about safety, luxury and design. In an exclusive partnership with Volvo, Motor Media Network publish the I Roll series of books that highlight key model milestones and technical achievements over the brand’s history, including the world-first introduction of the three-point seatbelt. The upper reaches of the Swiss chronograph market can be a crowded place with a variety of well-known brands vying for attention and the consumer dollar. Raymond Weil, with a history of luxury and horological innovation as long and proud as any Swiss watch company, tends to go about its business in a more subdued and refined manner. 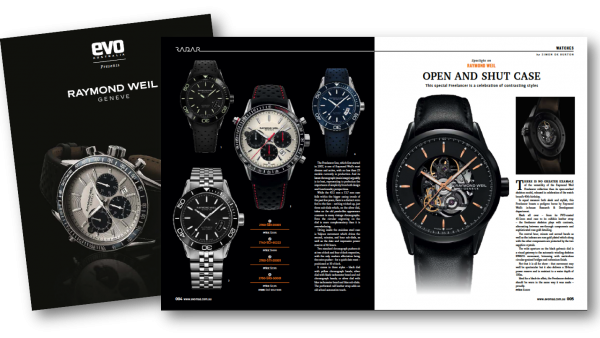 Instead, Motor Media Network and evo Australia shone a spotlight on Raymond Weil and its new Freelancer range of chronographs with an exquisite brochure, perfectly encapsulating Raymond Weil’s brand aesthetic. Since the 2013 launch of Motor Media Network and its flagship title, evo Australia, French tyre giant, Michelin, has been the exclusive partner of the annual evo Performance Car of the Year and evo Track Car of the Year events. With a gathering of exotic cars whose net worth often exceeds $10 million, the car of the year issues are often the best-sellers of that calendar year. In addition to the car of the year extravaganzas, evo Australia presents a monthly series on the world of Michelin, covering events such as the 24 Hours of Le Mans, World Rally Championship, Dakar Rally, Daytona 24 Hour and Bathurst 12 Hour endurance racing classics. evo Australia also covers the technical aspects of Michelin’s new tyre developments, including the rubber developed for the world’s fastest car, the 420km/h Bugatti Chiron. By definition, each cover of a periodical is unique, but the experienced design team at Motor Media Network has a knack of producing covers that not only stand out on the news stand, but are aesthetically appealing even to those beyond the target audience – thereby creating heightened brand awareness. 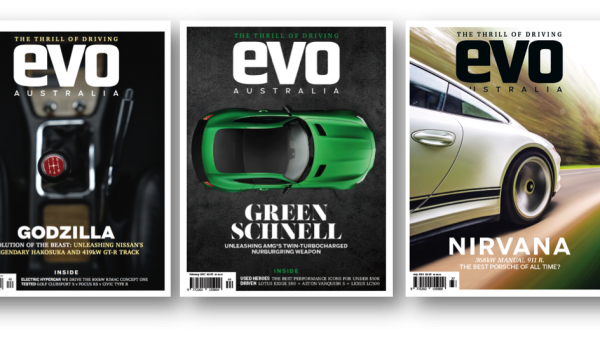 In a marketplace increasingly cluttered by shouty cover lines and fluoro colours, Motor Media Network’s flagship title, evo Australia, has begun experimenting with paired back covers that are simply beautiful. To more conventional eyes, the stripped back aesthetic might appear challenging and risky, but the sales success of this series of covers has been beyond expectation. Since the start of 2015, and off the back of Nissan’s win at the Bathurst 12 Hour enduro, evo Australia has been in partnership with Nissan to tell the story of the brand’s historic and current performance cars. With a focus on the legendary GT-R, each month we delve into a new chapter of this amazing machine. We are also uniquely placed to tell this story from start to finish; evo Australia’s editor, Jesse Taylor, grew up in Bathurst and was in attendance for the R32 GT-R’s famous win at the Bathurst 1000 in 1992, and more recently he tested the GT-R Nismo at Mount Panorama. 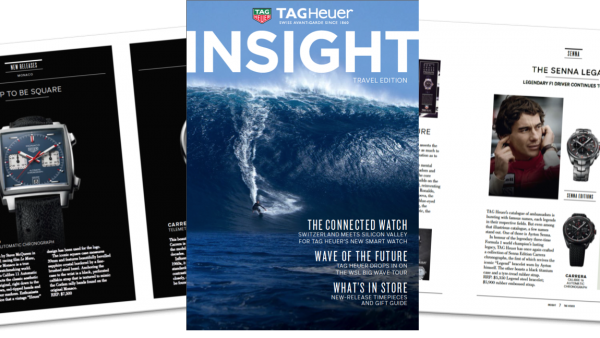 Not only can the experienced team at Motor Media Network produce on-brand client mini-magazines such as TAG Heuer’s Insight, we also offer an exclusive distribution deal at airports nationally through a partnership with Lagardère Travel Retail. Clients can target their audience by specifying which magazines, newspapers or products, the high-quality mini-magazine is offered at point of sale. In the case of TAG Heuer, the luxury Swiss watchmaker was able to specifically target their desired premium AB male audience. In addition to the magazine production and distribution, MMN offers video walls and ambient media at the airports to further increase audience reach and engagement with entertainment-hungry domestic travellers. Legendary performance, revolutionary design – the Audi TT is one of the world’s most beloved premium sports cars. Now with the hotly anticipated third-generation on its way, MMN has been contracted by Audi Australia to produce the comprehensive guide to the all-new car. Following MMN’s trademark mini-magazine style, the compact publication features a journey through the history of the legendary TT badge, from its first appearance at the 1995 Frankfurt motor show right through to the new third-generation car, plus a look at the new design inside and out, and a snapshot of the car’s class-leading technology. 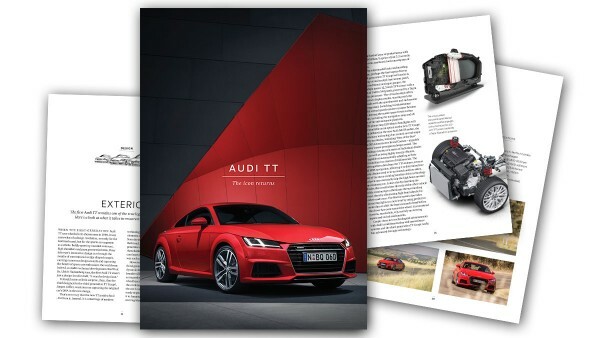 Given that the TT’s stunning Bauhaus design is recognised as one of the most iconic of the last 50 years, the magazine places strong emphasis on imagery in order to showcase the car’s stunning form and unique attention to detail. The striking little magazine is being distributed at Newslink newsagents around Australia. Volvo understands that to be truly creative, you’ve got to believe in yourself. You’ve got to do things the way that they should be done, regardless of the way others are doing them. For Volvo, great design is a way of life and not a luxury. In designing its latest range of luxury cars and SUVs, Volvo strives to make the life of the future owner easier, better, safer and more beautiful. 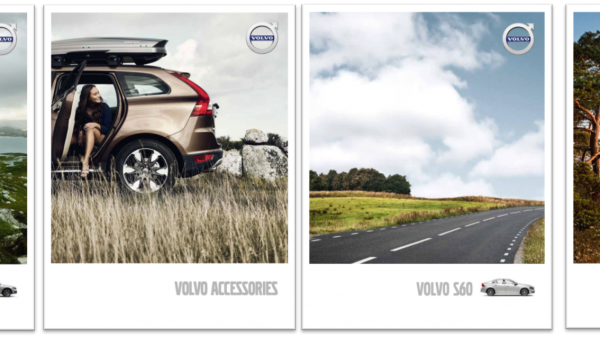 This philosophy of creativity, innovation and luxury is reflected in each Volvo brochure produced by MMN as part of an exclusive three-year partnership. 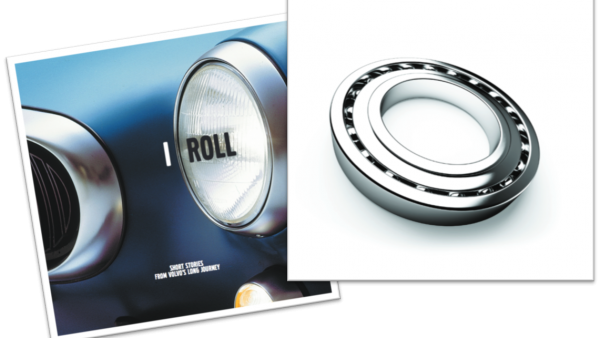 Using only the best paper stock and imagery, the brochures adroitly capture the Volvo’s design and engineering ethos.